Vysehrad Castle is Prague's second, lesser visited castle. 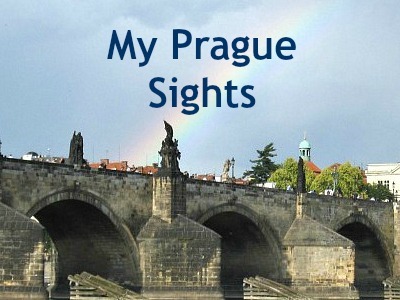 The rough translation of its name is High Castle since it is perched high above the Vltava River. 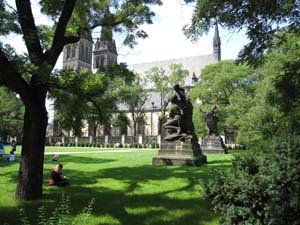 Vyšehrad is more of a local place where people come to relax and enjoy its peace and quiet. It's not a typical tourist site. This page outlines a bit of the history and things to see. 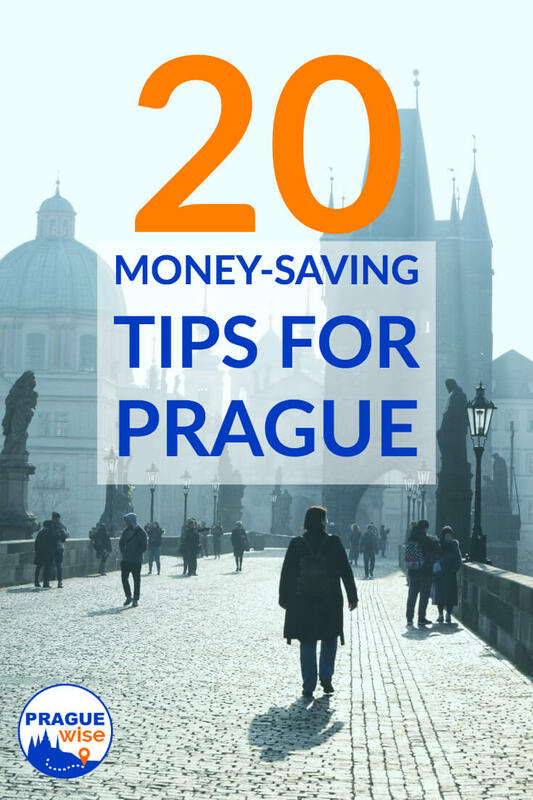 The easiest way to get here is to take the Prague metro (C line) to Vyšehrad station and follow the signs. It's quite simple. There's lots to see here. But, it's a different feeling than Prague Castle. The area is more of a open fortress and park than a fairy tale castle. So be prepared to relax and stroll around. Many people come here for an afternoon in the summer just to relax, have an ice cream (or beer) and just walk around. Ready for an fun experience? Pay a few crowns and get inside the deep passages of the fortress's ramparts. It's well worth it. 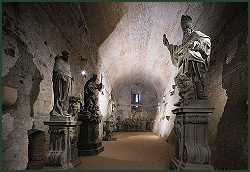 Here you will find some of the original statues from Charles Bridge. 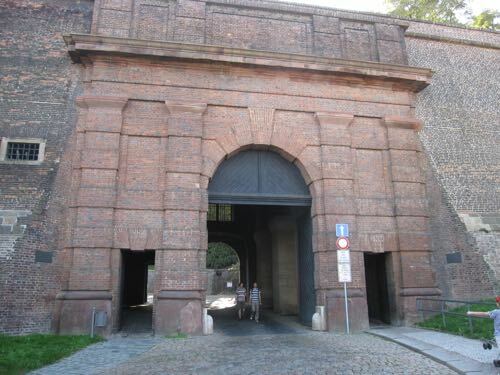 The casemates were almost destroyed at the end of the First Silesian War in 1742. The Prussians placed 133 barrels of gunpowder within the casemates, but the slow fuse was never lit by the last soldier in the garrison to leave. There's no general admission to Vyšehrad. Some parts may charge a very small fee to peek inside. So, grab a map and let's get going. The key landmark to Vyšehrad is the twin steepled Church of Saints Peter and Paul. This is the dark church you'll see from a river cruise and various viewpoints near the river. The churchl has been reset and rebuilt over the years. Today it maintains its Art Nouveau decor inside and neogothic details outside. The cemetery at Vysehrad Castle is, in a way, more of an open-air art exhibition. 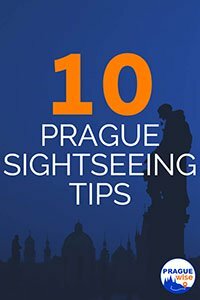 Numerous famous Czechs have been laid to rest here with ornate graves, frescoes and sculptured headstones. 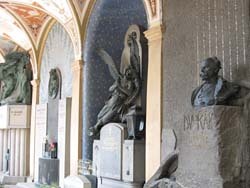 Among them include: Antonín Dvořák, Bedřich Smetana, Jan Neruda and Karel Čapek. The fortress is guarded by a series of incredibly large brick walls and formidable gates. Seriously, these are enormous and breathtaking. I would visit Vyšehrad just to see these. The Leopold Gate in particular tells you without a doubt - you are entering a fortress. And, from the western and northern sides of Vyšehrad Castle you will find lovely views of Prague, Vltava River and the surrounding suburbs. Vyšehrad Castle is commonly known as the birthplace of Prague. It was here that Princess Libuse, the wise daughter of a local ruler foresaw the future of Prague, a great city. She sought out Přemysl the Ploughman and the foundation of the Přemysl dynasty soon took hold. Records show that the first settlement here was in the 10th century. 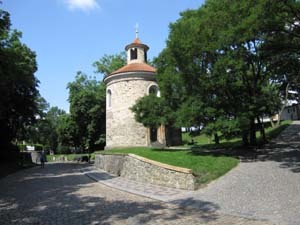 In the 11th century the Rotunda of St. Martin was built and is considered to be one of Prague's oldest surviving buildings. After some neglect the area again took importance during the rule of Charles IV. The emperor declared a new coronation route that was to begin symbolically at Vyšehrad and lead into Prague. During the Hussite Wars the area was nearly destroyed and maintained its status as a military jurisdiction until 1911. At this time the city took control of the area and work began to rediscover its heritage. In the 20th century, the trademark twin spires of Church of Saints Peter and Paul was built and the national cemetery was founded.